Most opposition parties on Sunday expressed support to the Bharat Bandh called by the Congress and Left Front over rising fuel prices in a showdown with the Modi government that has evaded a direct explanation to the non-stop rise in fuel prices. While parties like the Janata Dal-Secular (JD-S), Samajwadi Party (SP), DMK, Rashtriya Janata Dal (RJD) and Maharshtra Navanirman Sena (MNS) backed the shutdown, the Left has also declared a nationwide hartal. The Biju Janata Dal (BJD), a non-NDA party, said although it was against the fuel price hike, it would not support the Bandh. The Aam Aadmi Party (AAP) took a similar stand in Delhi. The Congress wants petrol and diesel to be brought under the Goods and Services Tax (GST), which would decrease the price “by Rs 15-18 per litre”. It also wants an immediate reduction in central excise duty and “excessive VAT” in states. 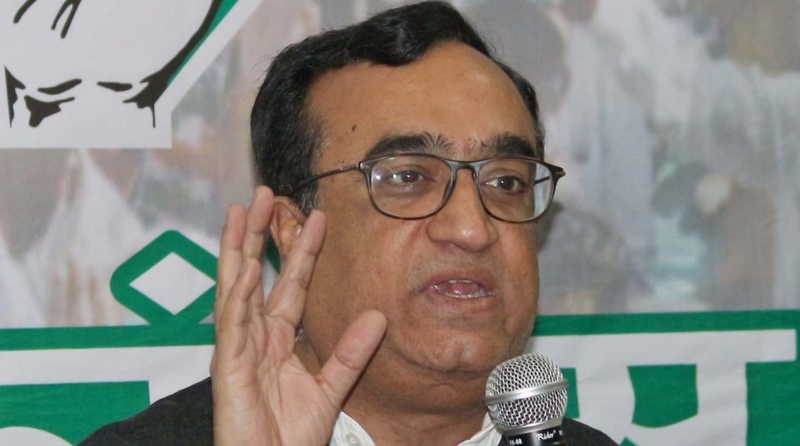 Congress leader Ajay Maken on Sunday said that close to “20 political parties” were taking part in the protest. He said the Centre had earned Rs 11 lakh crore in the last four years through excise duty on fuel and this money was taken from the common man to fill the government’s coffers. Issuing a joint statement on Friday, five Left parties including the Communist Party of India (Marxist), Communist Party of India, Communist Party of India (Marxist-Leninist)-Liberation, RSP and Socialist Unity Centre of India (SUCI) accused the Modi government of creating an economic crisis in the country while failing to stand by its electoral promise of recovering black money and creating employment. Left Front Chairman Biman Bose called for a 12-hour strike from 6 a.m. to 6 p.m. on Monday across West Bengal in support of the all India “protest hartal” and urged people in the state to make the protest a grand success. Karnataka’s ruling JD-S announced it will support the day-long nationwide protest. “Our party has decided to support the Congress call in protest against the steep hike in fuel prices and other anti-people policies of the NDA-led government,” a JD-S official told IANS in Bengaluru. As the Congress and JD-S will also protest against the misuse of the CBI, Enforcement Directorate and Income Tax office against opposition leaders. The BJP’s Tripura government has ordered all its employees to attend office on Monday and warned of strict action against absentees. Acting Chief Minister and Revenue Minister Narendra Chandra Debbarma urged the people to reject the ‘bandh’ and warned that that the government would strongly deal with the situation. Odisha’s ruling BJD said it will not support the Bharat Bandh. The party, however, said it was against the hike in fuel prices. “We have been holding protests across the state since last three days to make the people aware about the steep price rise of the petroleum products,” said BJD spokesperson Sasmit Patra. Pledging support to the Bandh, DMK leader M.K. Stalin said the Modi government was not doing anything to halt the rupee’s slide against the dollar or to control the fuel prices, which appeared to be marching towards Rs 100 per litre.